Aside from stain remover, there’s not much of an option besides wearing a “bib” to protect against unwanted spills. The TidyTop Dignified Dining Wear are stylish waterproof bibs that protects against spills of all kinds. With waterproof fabric that can be turned inside out to switch between from plaid and solid color, they can be used in most dining situations. The TidyTop is also available in a variety of fun patterns and colors such as black rose for more formal settings for the ladies. Each top is reversible for two different styles, available for both men and women. Included is a matching tote bag for storage, great to use during travel with wheelchairs or for storage space like a purse. Wearing a bib isn’t something that normally follows us in our adult lives and often times people who need them don’t feel comfortable wearing them. 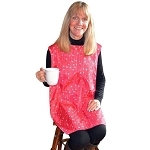 TidyTop offers a more stylish, dignified approach to wearing a bib again. People with Parkinson’s or MS could find this helpful when hand movement becomes weaker and clumsier. TidyTop also works well for caregivers, often caregivers have to feed their clients and sometimes they’re not always spot on with their delivery. 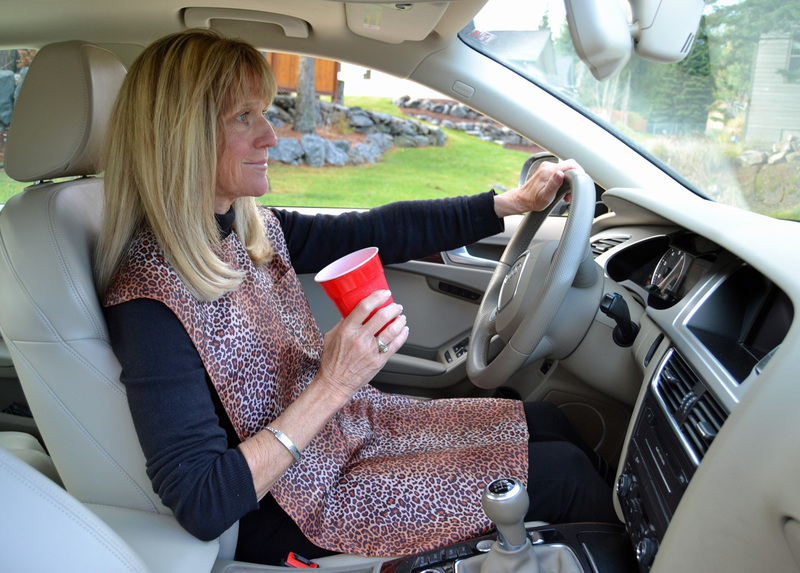 Sometimes these spills are inevitable, so having a stylish top around to negate the mess before it even comes is very efficient for any caregiver. Don’t let the stains get the best of you, tidy up with the TidyTop.